Mammoth Door is your local, garage door service company. The staff’s experience, selection of the country’s top brands, and professional, courteous service makes Mammoth Door the best choice for your garage door service needs. Providing garage door service in all of Oakland, Macomb, Wayne and Livingston counties, Mammoth Door offers new garage door installation and repair services you may not find in other companies. We can provide: 24-hour emergency service New garage door installation Same day service Evening and Weekend Service 1-Year parts warranty 90-Day labor warranty Large parts selection Both residential and commercial service Garage door repairs on any make or model door Garage door opener repairs (yes, any make or model) Services on any door or opener, regardless of where you purchased it When it comes to garage doors, Mammoth Door is truly a one-stop shop for new garage doors or garage door opener installation, consulting, and repair services. We offer an incredible array of parts and upgrades for almost any make or model of garage door. Our track record of success, many happy customers, and our commitment to providing quality service at a fair price, makes the selection of Mammoth Door as your garage door specialist pretty straightforward. Dealing with Mammoth Door is risk-free. If we can’t fix your garage door or garage door opener; your consultation, service call, and the assessment of your situation are all free! Please contact Mammoth Door today at (248) 636-0645 to get started on your new garage door installation or repair needs. We’re here to get your garage door back into an operational state for you! 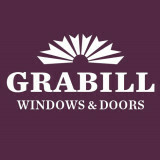 In 1987, founder Greg Grabill contracted his first window and door job on a handshake. He was a young craftsman from Michigan, who- while quite talented- had never actually built a window or door. While most would shy away at the thought of diving into uncharted territory, Greg was confident that he could engineer and build the windows and doors to the client’s exact specifications. It’s safe to say the rest is history. Today-nearly 30 years later- Grabill products now adorn some of the most exclusive homes in North America, and the company has evolved from a small garage operation to a nearly 38,000 square foot manufacturing facility here in Almont, Michigan. While our team has expanded over the years, Greg’s core values – his belief in always doing the right thing and crafting the highest quality, custom windows and doors on the market – continue to run wildly through the veins of each individual on our team. Grabill products are, and always will be: Built with Integrity. Built to Last. Integrity is so much more than a word to us; it’s a lifestyle. All of our windows and doors are proudly manufactured in the United States, where our talented team carefully and diligently designs and constructs each unit to the architect’s specifications, refusing to cut corners along the way. We work collaboratively with our clients, ensuring that they are actively involved in each decision-making piece of the project, and feel comfortable interacting with any one of our team members. In fact, I’m sure some of our clients have our phone number on speed dial. Our concept to completion mindset allows us the unique opportunity to support our customers from every angle, every step of the way. We pride ourselves on pushing the design envelope; saying yes when others say no. Whether the project calls for a thirteen-foot tall pivot door to grace the entry, or an entire glass curtain wall for your mountain escape, we at Grabill strive to say yes. We focus on continuously innovating; continually working to build upon our wide range of product lines, all while maintaining our reputation for crafting windows and doors that are truly ‘built to last’. Just like our customers, no two projects are alike, and we feel an obligation to keep our creative gears churning- designing new cutting edge, market-relevant designs for our most discriminating clients. Therma-Tru is the leading entry door brand most preferred by building professionals. 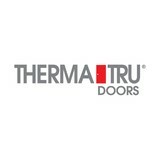 Founded in 1962, Therma-Tru pioneered the fiberglass entry door industry, and today offers a complete portfolio of entry and patio door system solutions, including decorative glass doorlites, sidelites and transoms, and door components. The company also offers low-maintenance Fypon® polyurethane and PVC products. Headquartered in Maumee, Ohio, Therma-Tru is part of Fortune Brands Home & Security, Inc. (NYSE: FBHS). Clarkston Window and Door was established in 1989 and is a family owned and operated business. With over 30 years experience in the new construction and renovation fields, we can help you improve the energy efficiency of your home while also enhancing its appearance. We offer brands you can trust at a price that you can afford. Divine Doors & Trim, Inc.
Distributors of Entry Doors, Interior Doors, Moldings, Stair Parts, Iron Balusters, Windows and Hardware. The philosophy at Verona Home Design is to give our customers the very best products to help make any house feel like home. Our array of practical yet sophisticated door collections helps to accent any home design with the selection of prehung interior, exterior, and barn door units. Through the partnership with Houzz.com, we are thrilled to provide our customers a new and exciting way to purchase products from Verona Home Design! With fifty years of doing their best for the customer, Caswell Window & Door Company has the experience to do every job, from the most challenging to the most straight-forward, with competence, on-time and on-budget. To do quality work, comprehensive planning is fundamental plus the experience to know the many details of selection, installation, and finishing. Caswell is experienced in the retention, enhancement or altering of the architectural character of a home while providing up-to-date performance in energy efficiency, maintainability, and serviceability. The Caswell Window & Door Company takes pride in every job they do and more importantly, this commitment to excellence will be evident in yours. This artisan approach to craftsmanship starts at the beginning of the project and continues on through to its completion. As Roy Caswell, Sr. taught his sons, "A job done well is the only reason to be in this business." In 1954 Roy Caswell started the Caswell Window & Door Company. It continues today as a family owned business. Roy Sr. conceived of the Company as a contractor with the highest possible standards, bringing craftsmanship-level work to the home construction and remodeling business. He provided his customers the very highest standard for contractor reliability by delivering work on-time and on-budget. Today, Caswell continues in this tradition of the highest quality contractor. When it comes to durable, energy efficient replacement windows in the Toledo area, homeowners can count on Renewal by Andersen® of Northwest Ohio. As your exclusive local certified source for Renewal by Andersen windows, we are able to offer a full selection of beautifully designed replacement windows that will make for a more attractive home exterior as well as saving you money on your energy bills. FREE Estimate on Replacement Windows for Toledo Area Homeowners! We have been designing and handcrafting hot-rolled steel and interior architectural doors for more than 40 years and two generations. We continue to refine the art that makes them the most luxurious home application. Many of our nation’s historic buildings dating from the Civil War era feature these handcrafted materials and we wouldn't build our doors with anything else. Ignition Switch Replacement Dearborn Endeavoring to work with your starts in the most ideal way however you don't have the foggiest idea how you will continue? Maybe you probably won't know how you to change out the supplantings with a shiny new bit of hardware since you haven't worked with these items. On the off chance that this sounds like you, we're here to help. Therma-Tru is the leading entry door brand most preferred by builders and remodelers. Founded in 1962, Therma-Tru pioneered the fiberglass entry door industry, and today offers a complete portfolio of entry and patio door system solutions, including decorative glass doorlites, sidelites and transoms, and door components. The company also offers low-maintenance Fypon® urethane and PVC products. Headquartered in Maumee, Ohio, Therma-Tru is part of Fortune Brands Home & Security, Inc. (NYSE: FBHS). For more information and product warranty details, visit www.thermatru.com, www.fypon.com or call (800) 537-8827. From compromising your homes security to increasing heating and cooling costs, an improperly installed or damaged door can cost you. Exterior doors, such as front doors, need to be tough against the elements but easy on the eyes; interior doors need to blend in with your existing aesthetic, but also function well for each room they are selected for. Needless to say, door decisions can be daunting; luckily, door dealers and installers in Wayne County, MI can help you select, design and install doors that are perfect for your home! What kind of services do Wayne County door dealers provide? Door dealers are responsible for a variety of services, including door installation, replacement, door repair and custom door design. If you need a new door, Wayne County, MI door dealers will help you determine what kind you need, as well as shape, color, size and more. From barn doors to French doors to front doors, these professionals can help you choose, install and maintain your door investments. Wood doors are beautiful, versatile and tend to be the most popular choice for both interior and exterior doors; they are easy to custom build, and include oak, cherry, walnut, mahogany, maple, fir and pine. Some standard wood doors have MDF cores wrapped in wood veneers, which minimizes the chances of warping as real wood expands when wet and contracts when dry. If your heart is set on a wood door but you think the Wayne County, MI climate might cause it to warp, talk to your door professional about a furniture-grade veneered door. Aluminum doors have an insulated core and come in a variety of colors and finishes. With a baked-on enamel finish, they won’t rust or need repainting, and many come with a 20-year warranty. Next to wood they are the most expensive and have to be custom-made. A Wayne County, MI door dealer can help you find a reputable aluminum door manufacturer. Find door dealers and installers in Wayne County, MI on Houzz. 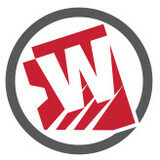 Look in the Professionals section of our website and search for Wayne County, MI door dealers and installers. Read reviews, look at project photos and see how a pro can help with your home improvement project.